but I don't remember doing a blog just about a person. but I don't think I blogged them merely as a person. Well, here I am, trying it for the first time with JYP. 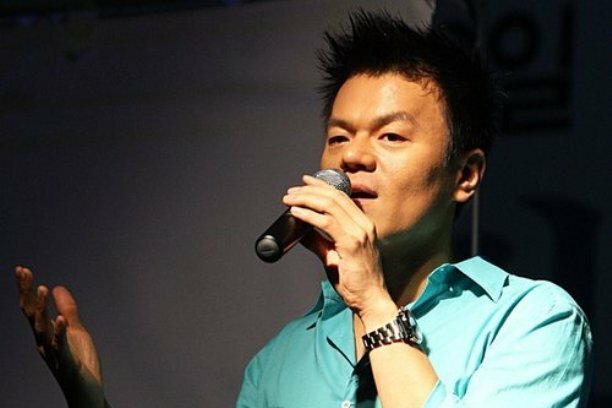 Well, he's a singer, songwriter, dancer, choreographer, and a president of JYP, one of the top 3 entertainment companies in Korea. but he is also successful himself not only in singing but also dancing. On the side note, he's in his 40's, but he still has the body of a the 20's. But even this mighty JYP (Jin Young Park) had his failures. Although he graduated in Yonsei University, one of the SKY universities (top 3 college) in Korea, he dropped out of grad school to become a singer. as a dance teacher in mediocre academies. he has become what he is now. One hell of an awesome dude. Here's a clip of him dancing. Like... look at him dance, but also look at his body. How old is he, again?